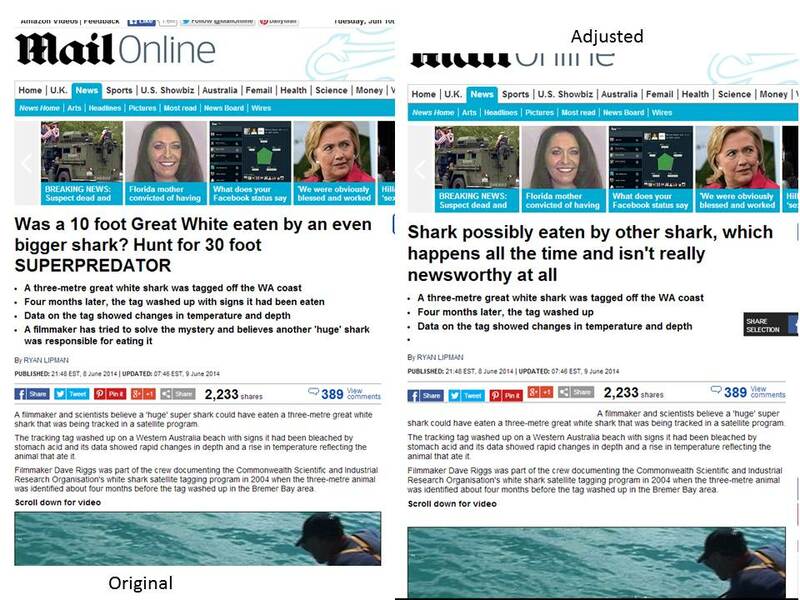 The mainstream media doesn’t always have the greatest reputation for accuracy when it comes to reporting stories about sharks. 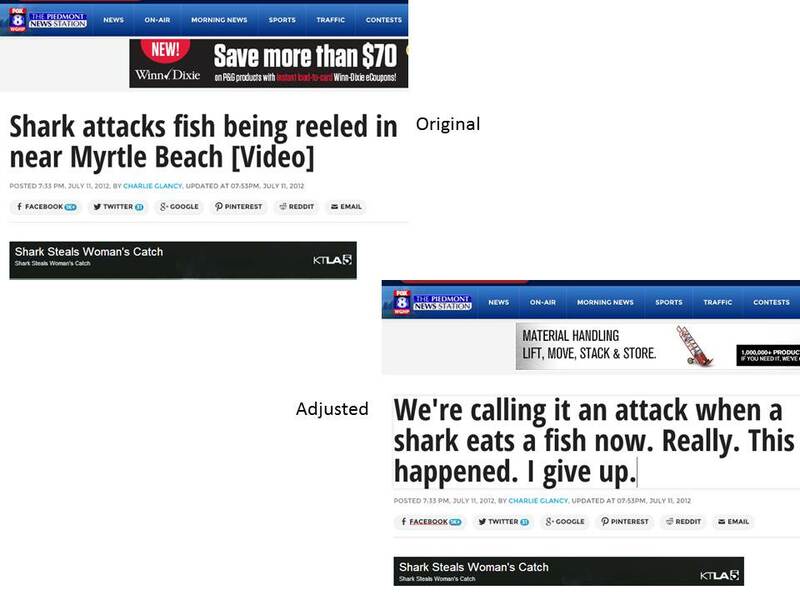 Inspired by this brilliant campaign, I decided to “adjust” the headlines of some particularly absurd recent news stories about sharks. 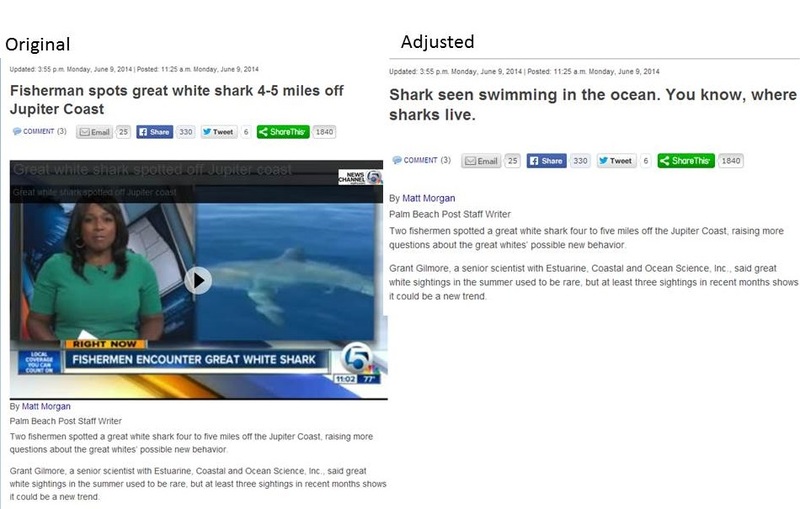 This story about a shark that may have been eaten by another shark. This breaking news about an animal seen in its natural habitat. This slightly misleading local news map. (Jets edit by LabGrrrl, also sharks edit by Kristine Stump). This other story about the same incident. Oy gevalt. 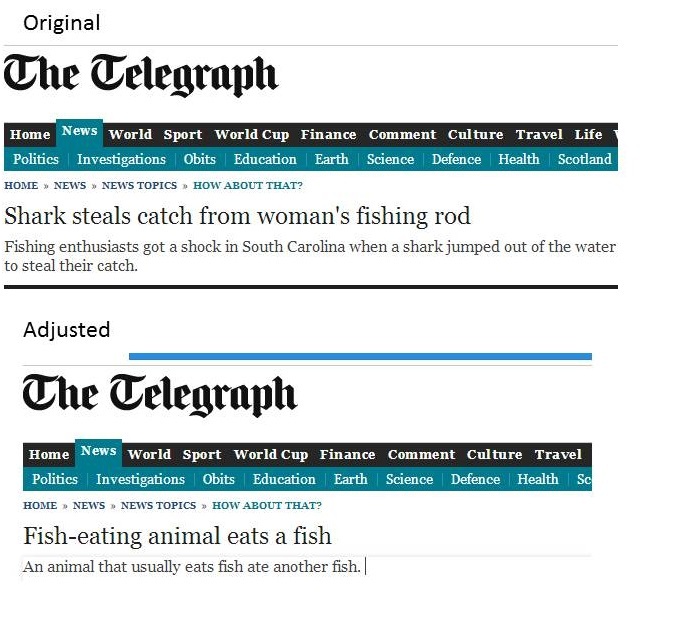 All edits made using SHRTURL, H/T Bug Girl. 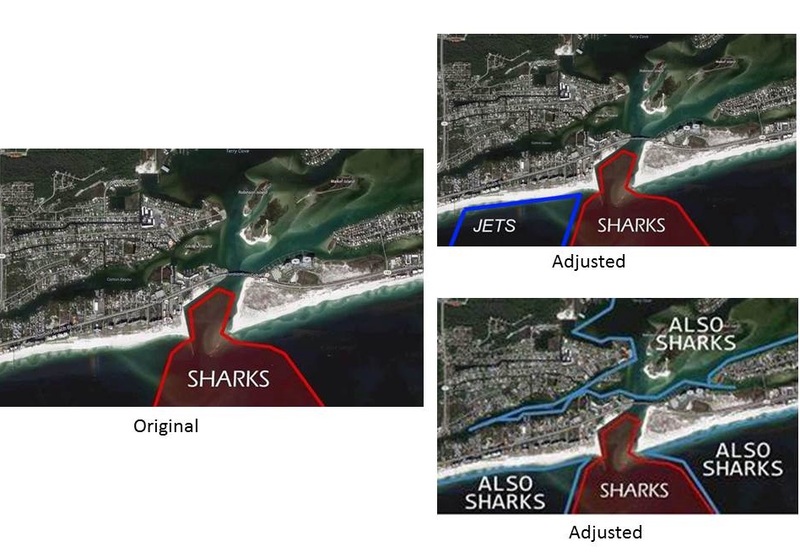 If you make your own and send it to me (WhySharksMatter at gmail), I’ll add it here! Please take a screenshot of the adjusted article, a screenshot of the original article, and provide a link to the original article in your e-mail.